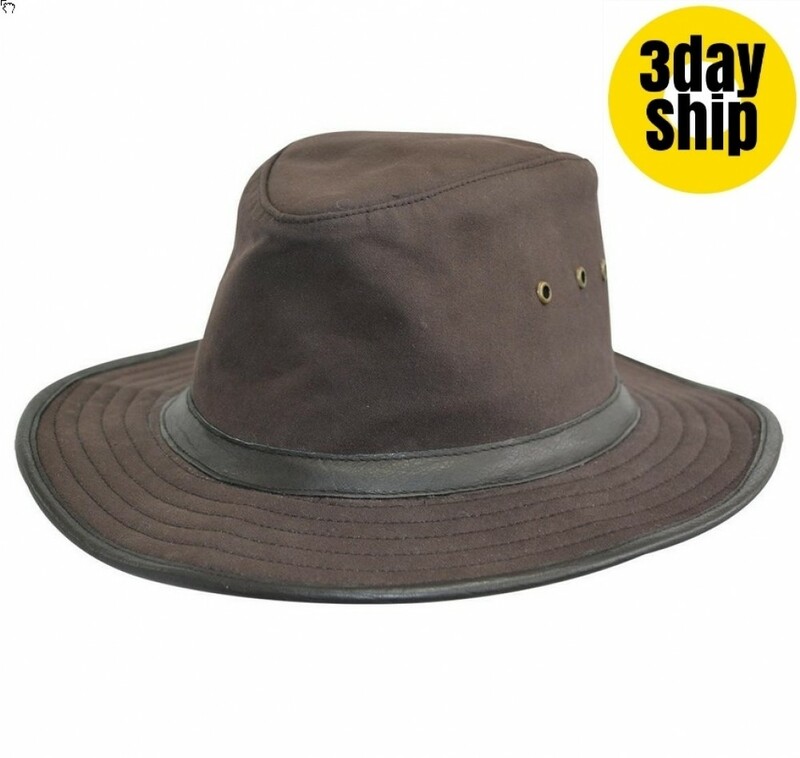 If you are planning on a camping, hiking or outdoor excursion where the weather may get extreme, this tough, sturdy hat is the perfect accessory to take with you. It is made from a premium quality fabric that is highly durable and is resistant to the elements like rain, sun and wind, always keeping you dry and comfortable. The design features a classic shape with a large crown and a full circular brim. 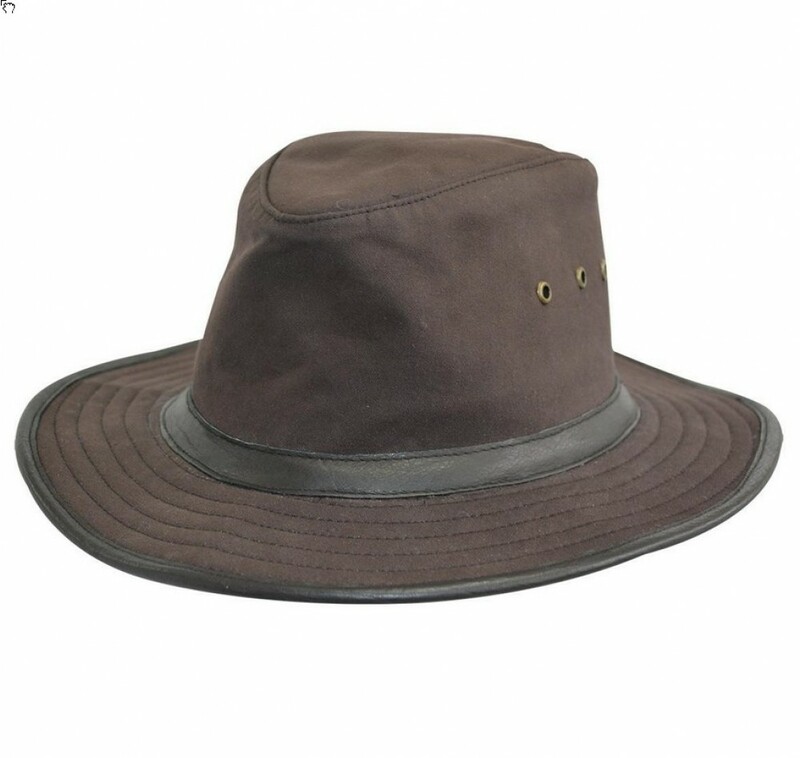 A leather band and leather trim on the brim add a stylish finish. The hat has an inbuilt heavyweight elastic sweatband, designed to keep sweat from your face and neck. The hat can be washed in lukewarm water and left to dry in natural sunlight, ensuring that it will last for years to come. The colour is a neutral brown with brass eyelet accents. Any business supplying products to campers, hikers, farmers and other people exposed to the outdoor elements will create a meaningful marketing campaign when you brand your corporate logo on these hats. We offer a great embroidered technique to best showcase your image. These quality caps make wonderful promotional sales items or premiums for loyal customers. Our pricing includes 8k embroidery of your personalised graphic and you can choose to have the embroidery done on the peak, sides or back of the cap. Embroidery can accommodate multiple colours. A once off set up of $50 applies for orders under 50 units. Our pricing excludes GST. Delivery of this item is within Australia only. We offer a fast two-week turnaround and to-the-door delivery anywhere in Australia. We deliver to all states and territories -- ACT | NSW | NT | QLD | SA | TAS | VIC | WA. We are not able to deliver outside of Australia, or to PO Boxes. If you need a bulk or rush order, just ask our friendly sales staff for details.